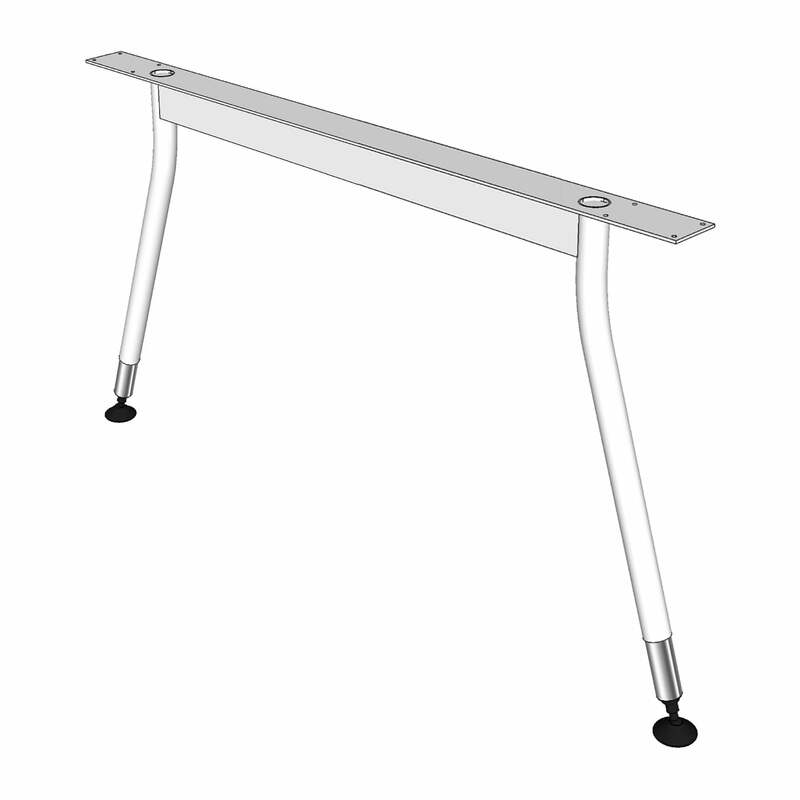 Delta legs provide a strong and durable support system for various workstation and tabletop arrangements. 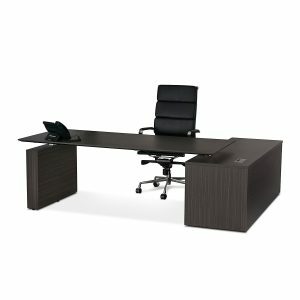 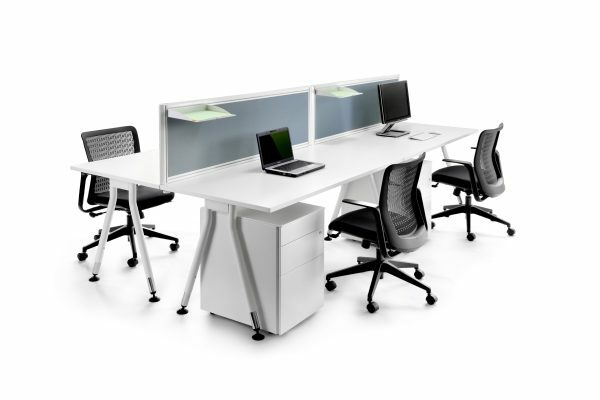 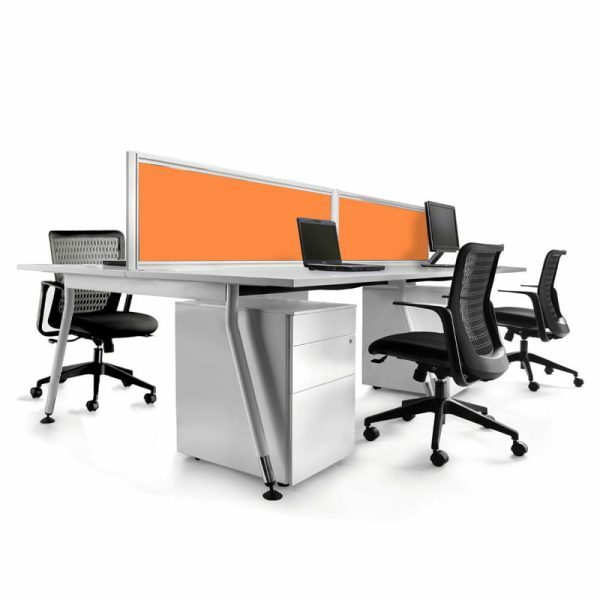 The slimline design gives you that quality look stepping away from the generic styled office. 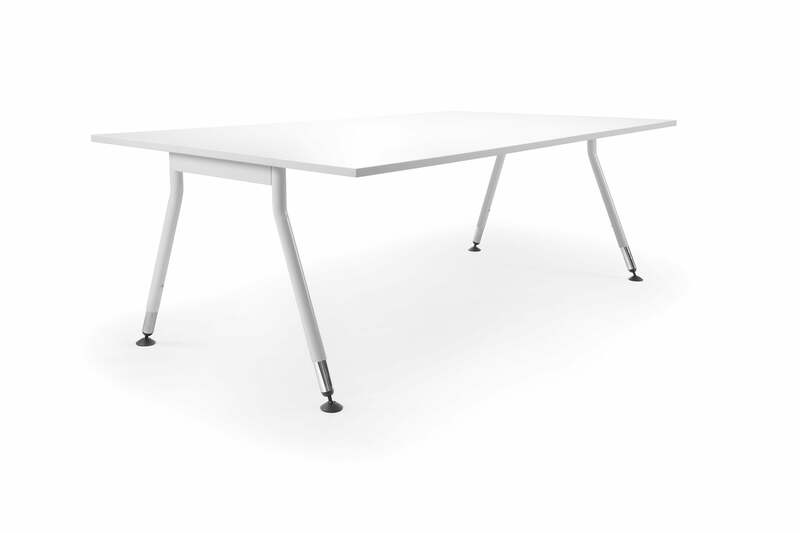 Sleek, strong and stable. Delta legs are designed to remain steady on uneven flooring simply by adjusting the rotation of the legs. 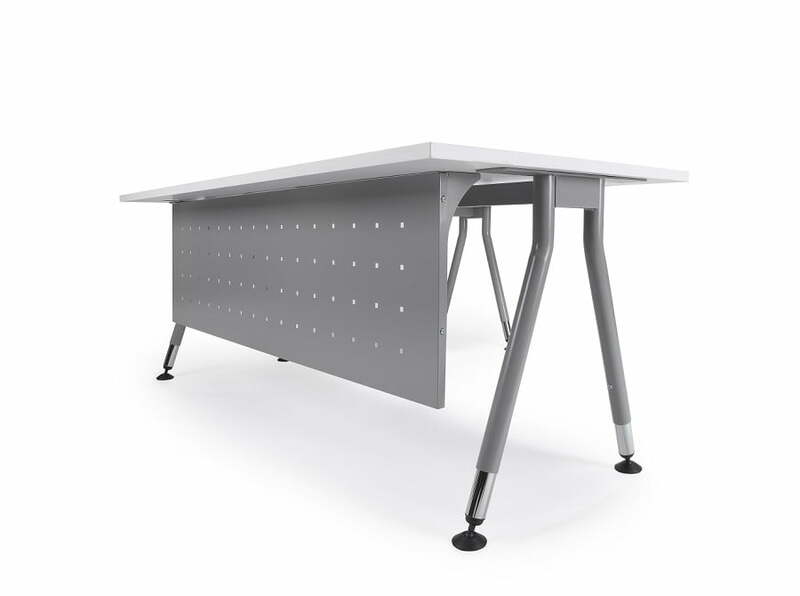 The steel and nylon construction provides durability, resulting in a longer lifespan. 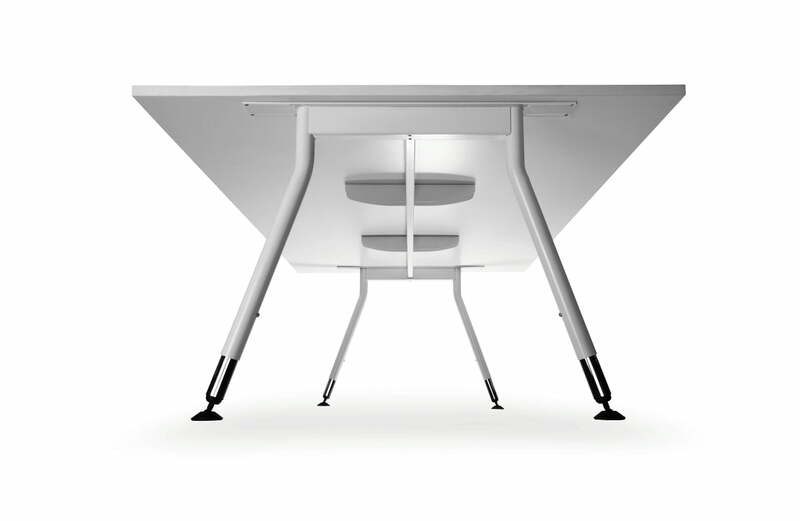 This leg design integrates perfectly with numerous additions. 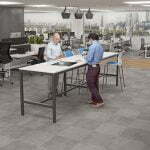 Including many different forms of workstations, privacy screens, under-desk protection and fully integrated power, phone and data service. Delta is also perfect to coincide with most storage systems. 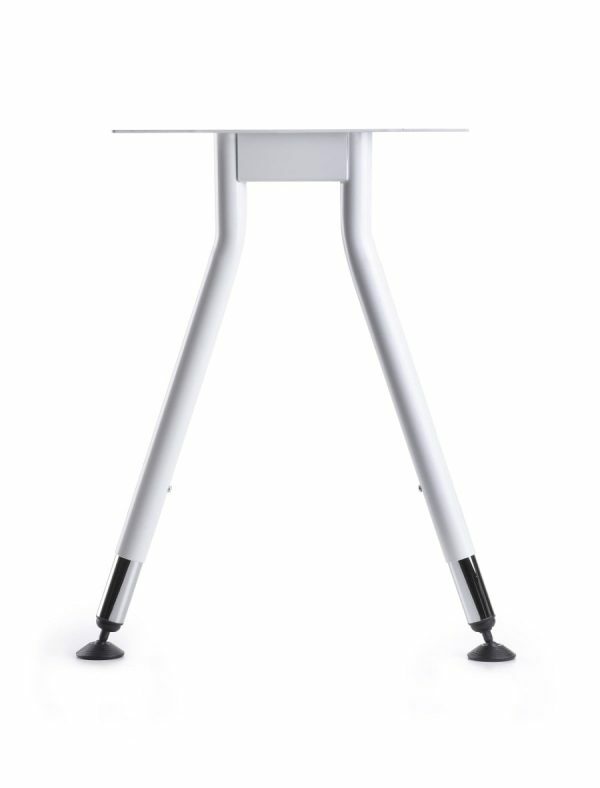 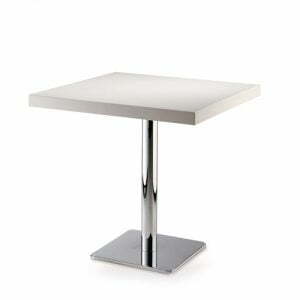 Comes with a White Satin, Black or Precious Silver Pearl powder coat finish with a chrome extendable leg. 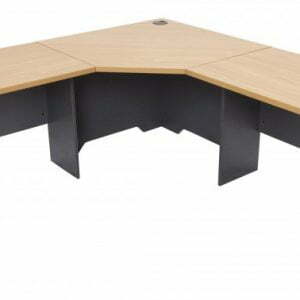 Prices may vary on size and colour, please contact us for a quote.